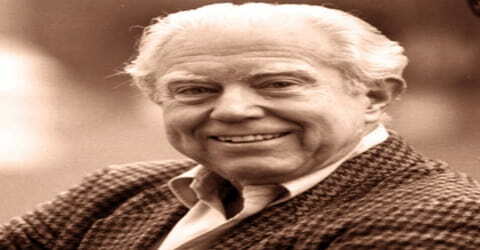 Elliott Carter – American composer. Name: Elliott Cook Carter Jr.
An American composer, a musical innovator whose erudite style and novel principles of polyrhythm, called metric modulation, won worldwide attention, Elliott Carter was born in Manhattan on December 11, 1908, the son of a wealthy lace importer, Elliott Carter Sr., and the former Florence Chambers. From an early, quasi-neo-Classical style, Carter forged his own complex, dramatically oriented adaptation of serial methods. His compositions are known and performed throughout the world and include orchestral, chamber music, solo instrumental, and vocal works. Carter was twice awarded the Pulitzer Prize. Carter is known as one of the leading pioneers and avant-gardes of the music of the twentieth century. He was very much influenced by the works of Stravinsky, Harris, Copland, and Hindemith. Subsequently, he developed a unique style of his own. Throughout his career as a composer, he has been honored with numerous awards from institutions throughout the globe recognizing the appeal and beauty of his compositions. Apart from the style and technique, he is also for his prolific output, composing works well after he crossed his 100th year. His works include choral music, instrumental pieces, orchestral music, concerti, string quartets, piano pieces, an opera, and a ballet. Elliott Carter is one of the faculty members of the Tanglewood Music Center where he offers annual composition professional-classes. Carter was productive in his later years, publishing more than 40 works between the ages of 90 and 100, and over 20 more after he turned 100 in 2008. He completed his last work, Epigrams for piano trio, on August 13, 2012. 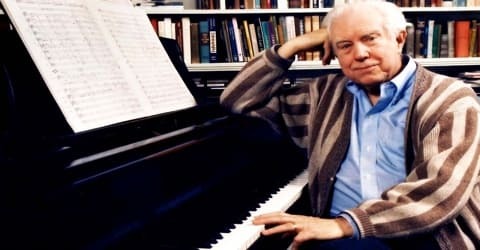 In December 2012, Elliott Carter’s 103rd birthday will be celebrated in a very grand manner with three world premieres and three U.S premieres, which will be held in New York. 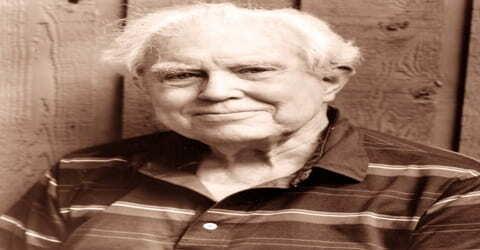 Elliott Carter, in full Elliot Cook Carter, Jr., was born on 11 December 1908 in New York. His father Elliott Carter, Sr. was a businessman by profession and his mother was Florence Carter (nee Chambers). His initial education was at the Horace Mann School and at Harvard, where he obtained a B.A. in English, in 1930; two years later, he got his M.A. in Music, after studies with Walter Piston and Gustav Holst. He also received early encouragement from Charles Ives. From Harvard, he went to Paris, studying at the Ecole Normale de Musique and taking private lessons with Nadia Boulanger. Carter had an interest in modern music almost from the beginning (in fact, he once said that he took his degrees at Harvard so he could be near the Boston Symphony Orchestra, which under Serge Koussevitzky’s direction was performing a broad range of contemporary compositions at the time). But he also sang in a madrigal group and conducted choral concerts in Paris, and pursued interests in mathematics, literature, and languages. By late 1935, Carter returned to the States and started composing music for the Ballet Caravan. On July 6, 1939, Elliott Carter married Helen Frost-Jones. They had one child, a son, David Chambers Carter. He lived with his wife in the same apartment in Greenwich Village from the time they bought it in 1945 to her death in 2003. 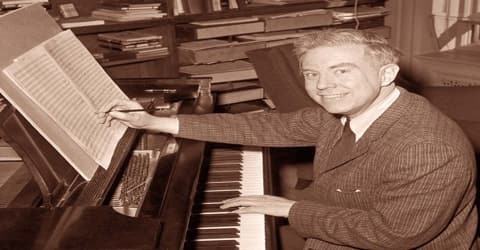 Elliott Carter began composing seriously in 1933 while studying in Paris with Nadia Boulanger. His early works displayed an original diatonic style that was strongly influenced by the rhythmic and melodic patterns of ancient Greek music and literature. Among his early works were choral and instrumental pieces and a ballet. Two pieces from the early 1940s The Defense of Corinth for narrator, men’s chorus, and two pianos (1941) and Symphony No. 1 (1942) were especially representative work of that period. In 1940, Carter joined St. John’s College at Maryland as a teacher and worked there for four years. He taught several courses including music while at the same time rephrasing and perfecting the original ballet that he composed for the Ballet Caravan. By 1944, he had finished his second work, Holiday Overture, and after two years, he completed composing his first piano sonata. By now, he had perfected his style, incorporating flavorsome intricacy in his compositions that distinguished his works from others, a sign of a truly great musician. Carter developed his notion of “metrical modulation,” in which one tempo leads gradually to another through changing the note values in different voices of the ensemble. One starts to hear this process in the String Quartet No. 1 (1951), and colorful works like the Variations for Orchestra (1954-1955), the Double Concerto (1961) and the Quartet No. 2 develop those ideas further. Carter also occasionally developed dramatic scenarios for his compositions. The Quartet No. 3, for example, pits two duos (violin/viola and violin/cello) against one another as they play in different tempos and rhythms; Claus Adam of the Juilliard Quartet, which premiered the work, called it the most difficult work the quartet had ever played. The Double Concerto for harpsichord, piano, and two chamber orchestras (1961), which won rare praise from Igor Stravinsky, displayed Carter’s interest in unusual instrumentation and canonic texture (based on melodic imitation). The conflict generated between the two orchestral groups and the great difficulty of the concerto was mirrored in his Piano Concerto (1965). Carter’s Concerto for Orchestra was first performed in 1970 and the String Quartet No. 3, for which he won a second Pulitzer Prize, in 1973. In the course of World War II, Carter worked for the Office of War Information. After the war ended, he took a teaching position at the Peabody Conservatory and worked there from 1946 to 1948. He then joined Columbia University as a Professor and worked there for two years. During this time, he composed a sonata for piano and cello and started making his first award-winning String Quartet. He also taught at Queens College from 1955 to 1956 and at Yale University from 1960 to 1962. In 1967, he was made a member of the American Academy of Arts and Letters. Three years later, he was appointed the Andrew P. White Professor-at-Large at Cornell University and in 1972, he was made a professor of composition at the Juilliard School of Music. The 1980s began a major creative period for Carter. Some of his more frequently performed works from that and subsequent decades include the Oboe Concerto (1987); Violin Concerto (1990), a recording of which won the 1993 Grammy Award for best contemporary composition; String Quartet No. 5 (1995); the playful Clarinet Concerto (1996); the ambitious Symphonia: Sum Fluxae Pretium Spei (1993-96; “I Am the Prize of Flowing Hope”); an opera, What Next? (1999), about six characters in the aftermath of a car accident; the Cello Concerto (2000), first performed by Yo-Yo Ma; and a continuing string of commissions beyond the composer’s 100th birthday. Major orchestras and other performers around the world increasingly played his music, and he became one of the few contemporary composers whose works entered the standard repertoire. In 1988, Carter was honored at Tanglewood to mark his 80th birthday. This occasion was also celebrated by the Santa Fe Chamber Music Festival by premiering his Oboe Concerto in the United States. His birthday was also celebrated at the Pontino Festival, in Italy, and at the Huddersfield Festival, in the United Kingdom. Elliott Carter was very prolific even when he was well into his 80s. In fact, some of the works composed during this time are considered to be his best. In 1989, at the age of 81, Carter completed his latest composition called the Three Occasions and the next year, he finished the Violin Concerto. Both these works are amongst his greatest and excellent compositions. Besides this, he composed a Quinet for piano and winds, in 1991, and, in 1994, the National Academy of Recording Arts and Sciences conferred the Violin Concerto the Best Contemporary Composition. For almost 25 years, Carter had kept on composing String Quartets and it was in 1995 that he presented his String Quartet No. 5 in Belgium. At that time Elliott Carter was 87 years old. Carter went on to write a total of five quartets, along with a variety of symphonic works, concertos, chamber and solo pieces and, in the late ’70s and early ’80s, a handful of vocal works. He continued to be productive: Carter’s Symphonia: sum fluxae pretium spei (1993-1996), which he completed at the age of 88, was received with great enthusiasm. Carter composed his only opera, What Next?, in 1997-98 for the Berlin State Opera at the behest of conductor Daniel Barenboim. The work premiered in Berlin in 1999 and had its first staging in the United States at the Tanglewood Music Festival in 2006, conducted by James Levine. He later considered writing operas on the themes of communal suicide and a story by Henry James, but abandoned both ideas and resolved to write no more operas. Carter came to Carnegie Hall, New York, for the grand celebration of his 100th birthday on 11 December 2008. There the Boston Symphony Orchestra conducted by James Levine performed the Stravinsky piece that he had listened to as a 15-year-old at the same place, to commemorate his birthday. Another piece, which he composed in 2008, called the Interventions for Piano and Orchestra was also performed by Levine and pianist Daniel Barenboim. Figment V for marimba was premiered in New York on May 2, 2009, by Simon Boyar, and Poems of Louis Zukofsky for soprano and clarinet had its first performance by Lucy Shelton and Thomas Martin at the Tanglewood Festival on August 9, 2009. The US premiere of the Flute Concerto took place on February 4, 2010, with the flutist Elizabeth Rowe and the Boston Symphony Orchestra conducted by Levine. The last premiere of Carter’s lifetime was Dialogues II, written for Barenboim’s 70th birthday and conducted in Milan in October 2012 by Gustavo Dudamel. The last premiere ever, which happened after Carter’s death, was “The American Sublime”, a work for baritone and large ensemble, dedicated to and conducted by Levine. The works composed at the beginning of his career were highly influenced by the style of Harris, Copland, Paul Hindemith, and Stravinsky and are mostly neoclassical. His works such as Pocahontas for Ballet Caravan and the Holiday Overture represents a combination of Igor Stravinsky’s neo-Classicism and the American populism of Aaron Copland. Works such as Piano Sonata and Cello Sonata use more conflict and rhythmic complexity. In his String Quartet No. 1, Carter developed ‘metrical modulation’, which is also used with more perfection in his wonderful works such as Orchestra, Double Concerto and the String Quartet No. 2. The String Quartet No. 3 has two duos pitted against each other so as to play in different tempos. According to Claus Adam of the Juilliard Quartet, it is the toughest work which the quartet had ever played. 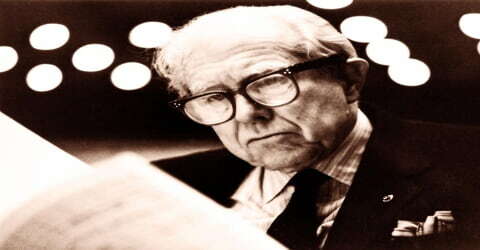 Elliott Carter had been honored with the Pulitzer Prize two times (1960 & 1973). In 1985, Carter was honored with the National Medal of Arts. He was the first composer to receive this honor. He also received Germany’s Ernst Von Siemens Music Prize and the New York Critics Award. In 1988, Carter was bestowed with the Commandeur de l’Ordre des Arts et des Lettres by the Government of France. In recent times, Carter has been honored with the Prince Pierre Foundation Music Award, presented by the Principality of Monaco. Apart from this, he is amongst the few composers to be elected to the Classical Musical Hall of Fame. On February 7, 2009, Elliott Carter received a Trustees Award (a lifetime achievement award given to non-performers) from the Grammy Awards. 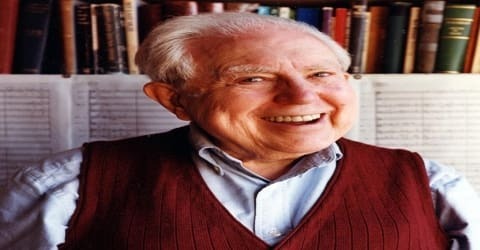 Elliott Carter wrote music every morning until his death, of natural causes, on November 5, 2012, at his home in New York City, at age 103. In June 2012, the French government named Carter a Commandeur de la Légion d’honneur.